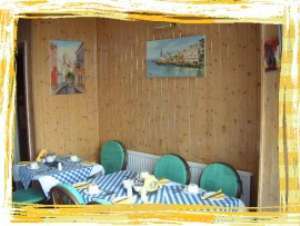 Leonardo's Guest House Guest AccommodationFamily run Guest House located on Swansea Bay with a number of amazing sea view rooms. Tina and Leonardo look forward to welcoming you in a mediterranean themed surroundings. Just a few yards from the beach, few minutes to the city centre and few miles to the Mumbles and Gower, Leonardo's is an ideal base to see many attractions. Close to the County Hall, ideal for those tracing their ancestoral routes. Great for those visiting Branwyn Hall for events and conferences. Leonardo's is the ideal budget high standard accomodation coupled with high quality breakfast and informal and friendly yet professional service. Family run Guest House located on Swansea Bay with a number of amazing sea view rooms. Tina and Leonardo look forward to welcoming you in a mediterranean themed surroundings. There are a number of organised walks and coastal path in and around the city where you can admire and enjoy the natural beauties of the area.